Discussion in 'Classic Manual Cameras' started by chrisarnsberg, Oct 23, 2018. I found this camera between some other types of 8mm Cams, Super8 mm Cams, Polaroids etc in the living room of my died dad. I learned analogue photography in school and i know the secrets of lenses, shutter, time etc. 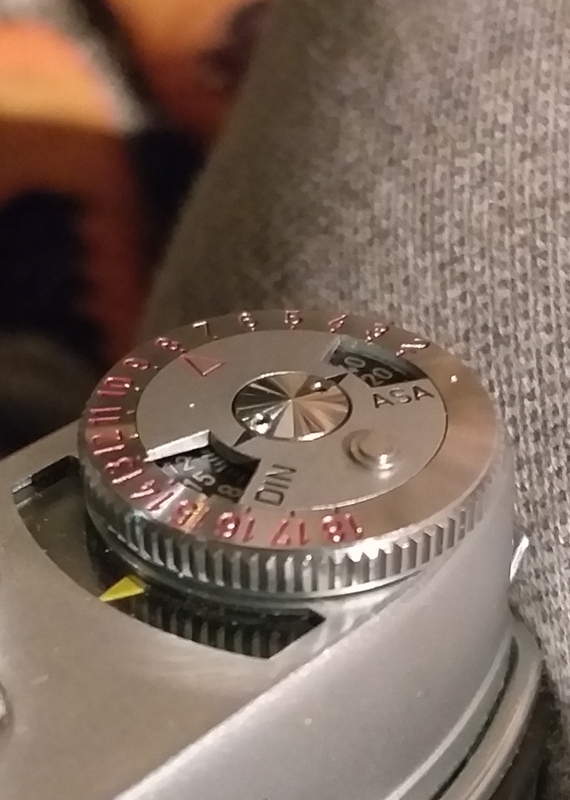 I have an easy question and may be anybody help me: Do you know how i can change the DIN/ASA Mode of the cam? I will try an 400 ASA Black/white film, the cam shows me actually a DIN 19 Film on the right top side. A propos manual: if you don't have one and don't know the camera, PLEASE be informed that when the film counter goes past 36 (irrespective of whether the camera has film or not), everything will freeze and the advance lever remain blocked. This is not a defect - it's a feature! For Heaven's sake don't try and force anything, or you will ruin the camera! 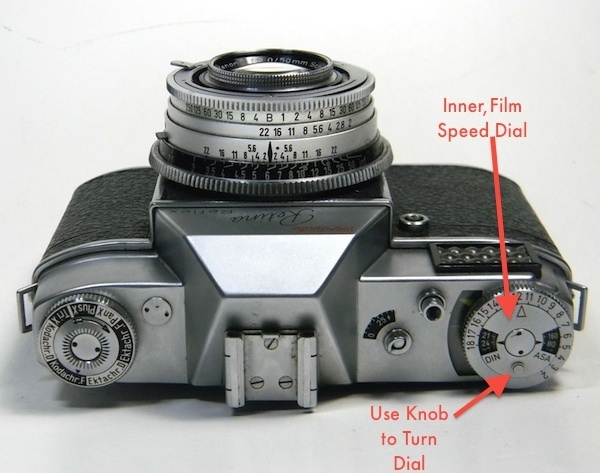 Functions will be restored by either opening/closing the back, or by pressing the small button just below the film counter and simultaneously acting on the other button on the camera's back in the direction of the arrow to bring the frame counter back to 0. I destroyed a perfectly good Retina Reflex for having manipulated it before bothering to find a manual, and I'm still kicking myself in you know where for that.